This month our featured HIVantage Point eBook is Manage and Conquer Depression. Depression is a serious medical condition that affects thoughts, feelings, and the ability to function in everyday life with HIV. And though each year clinical depression strikes more than 20 million people in the United States, it is still widely under diagnosed and treated; especially in the HIV/AIDS community. Join us to learn the roots of depression and some simple ways you can work to conquer depression in your life. 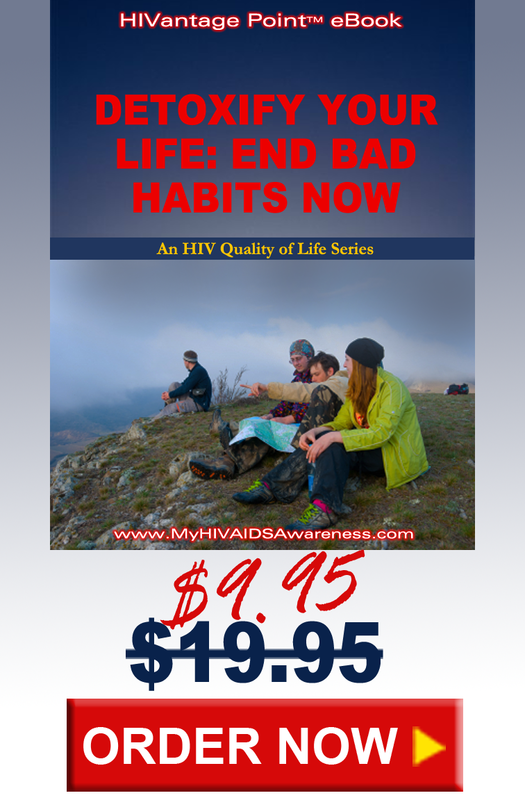 The complete HIVantage Point series includes 10 additional eBooks for your best life with HIV. Want to know the best practices and “what’s working right now” for these critical issues that affect your health and happiness? HIVantage Point eBooks are your resource for tackling some of these issues that are making your life not all it could be. No matter how much a builder knows about building a beautiful great room, bathroom, or kitchen, without the knowledge of how to build a proper foundation for a home… he can never build a safe, stable, wonderful place to live in. It just isn’t going to happen without the proper foundation. Same thing when trying to build a happy and healthy life with HIV. Build your foundation with HIVantage Point.